Ayoze Perez stands 179cm high and thus is 5cm smaller than his team on average. Born on July 29, 1993, Ayoze Perez's age of 25 underlies his team's mean. In terms of preferred feet, he is a right footer, like 63% of Newcastle United. He already played 35 matches this season. In Premier League (United Kingdom), Newcastle United is in 15th position. The Spanish forward Ayoze Perez joined his current team, Newcastle United (United Kingdom), in July 2014. 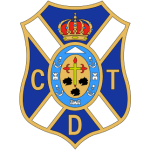 He was contracted to a few clubs during his professional career, one of them being Tenerife CD, for whom he played before coming to United Kingdom. He weighs 66kg which is 10kg less than his team's average heftiness. The briefest time Ayoze Perez's spent on a team counts 17 months in Tenerife CD (Spain). When it comes to unfortunate moments, he scored once in the wrong net since becoming professional. This was in Premier League 17/18 (United Kingdom) with Newcastle United. 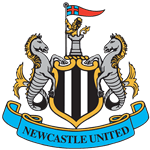 Apart from Ayoze Perez, Joselu, Callum Roberts, Yoshinori Muto and Salomon Rondon are also forwards of Newcastle United. In terms of top seasons, the Segunda Division 13/14 (Spain) was his best one yet, breaking one personal record in terms of goals. This season he scored seven and assisted three goals which is 19.4% of all of Newcastle United's goals in Premier League 18/19 (United Kingdom). On average, he initialized 0.09 and hit the net 0.2 times per match this season which is a worse performance than last year's. Back then 0.27 goals and 0.14 assists per match have been achieved. Concerning the latest matches, Ayoze Perez's club lost in Premier League. In his footballer career, a total of 17 cards were ascribed to Ayoze Perez. While thus obtaining an average of 1.31 cards per term, he has not even gotten any yet, for now. While being substituted more out than in this season, we can observe that this trend came from last season. Moreover, he shows 67 out and 54 in substitutions in total. From his professional start until now, he has performed in 216 matches in total and hindermost appeared ten days ago. On average, he has participated in 16.6 matches per season. Ayoze Perez wears the number 17 strip at Newcastle United. His longest stay in a team counts four years and 10 months in his current club.